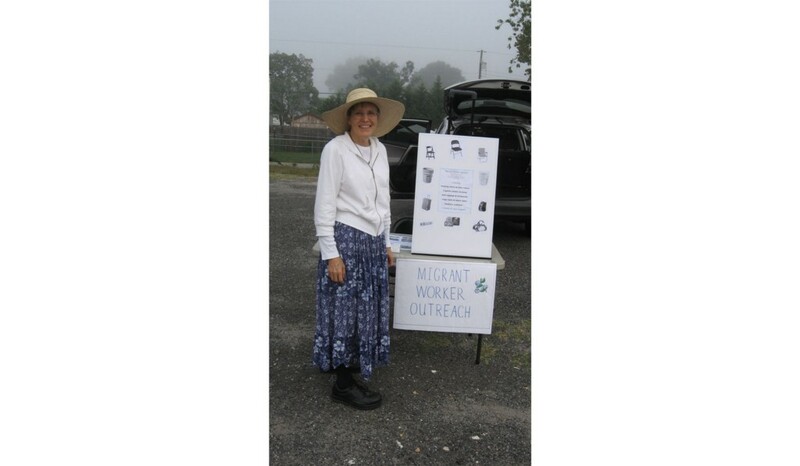 Volunteers with Migrant Worker Outreach (MWO) have a mission of welcoming migrant workers and their families to South Jersey during the blueberry harvest in June and July. Since 2010, year-round residents of South Jersey have donated generously to the MWO clothing drive. Six thousand Hispanic and Haitian workers who come to New Jersey for the blueberry harvest are only in the area for seven or eight weeks each summer. “We collect more than just clothing for migrant workers and their families,” said Dory Dickson, co-founder and director of Migrant Worker Outreach. “You can visit our website and scan down to the highlighted section to read our list of requested items. Besides clothing, linens, yoga mats and five-gallon plastic buckets, there are a few new requests this year: colorful cotton bandanas and swim suites for youth ages 5 through 17.” For the past several years, Migrant Worker Outreach (MWO) has placed clothing drive collection boxes at area libraries. This year there will be no collection boxes at the libraries. Instead, donors must set up an appointment by phone, to meet the MWO collection vehicle in the parking lots of the locations listed at the bottom of this article. Dory Dickson cautions donors about the collection process.